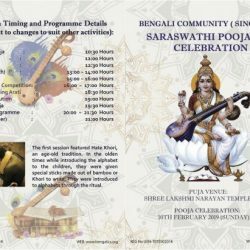 Bengali Community (Singapore) – BCS is a non-profitable organization in Singapore that has achieved a high level of technical excellence in Bengali cultural heritage, particularly valuable in multi-ethnic Singapore. BCS represents a community of Bangladeshi born Singaporean and Bangladeshi expatriate those who are involved in various professional fields in Singapore and working group of people who have paramount role; it plays in the promotion of peace, love and harmony, in a multi-cultural, multi-racial and multi-religious country like Singapore; total dedication towards service to the community as well as nation building. 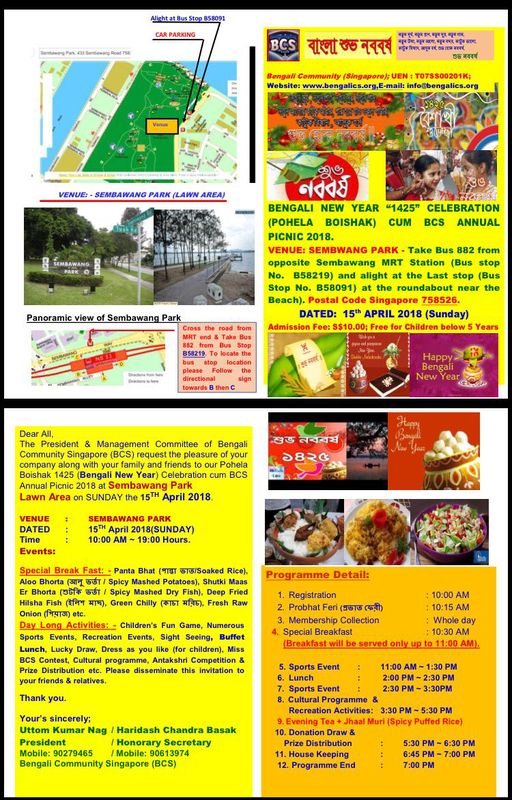 The Bengali Community (Singapore) formed in 5th May 2007 on an ad-hoc basis and formally established the Bengali Community (Singapore) and latter on has obtained its approval from the Ministry of Home affairs and registered in Singapore later part of the year 2007 ( 8th December 2007) with lot of commitments towards our community. It began humbly, with just 12 members and little else. 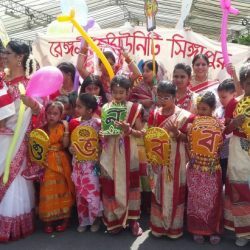 Today, it has nearly 200 ordinary members, 26 life members, more than 1,000 Grass Root Committee (GRC) Members and a pan-Bangladeshi curriculum that reflects the cultural diversity of a vast country with an ancient heritage. Maintain unity in the Society and community; enhance family life through recreation and entertainments. Increase moral and social value of the community, respect for each other and to abide by Singapore rules and regulations to maintain our existence and quality of life style. Maintain our identity, culture and social harmony in a multi-cultural, multi-racial and multi-religious country like Singapore. To provide for the education and quality existence of the next generation by arranging a musical school, Math and English tuition, computer literacy of the community and students. We work from the community by listening and learning. We work with the community by co-designing the change strategy. We work in the community by facilitating action and learning. The work will honor you when you are able to see real change at the grassroots level. There is no greater honor than experiencing transformation in a community that had no formation just two years ago and is now empowered, in an organization that was looking for members from door to door and now has a sustainable numbers of Life Members, Ordinary members and Grass Roots Committee Members. BCS people, we still hold the culture value. If you keep your hand to the plow, there will be a harvest. “The work will honor you”. 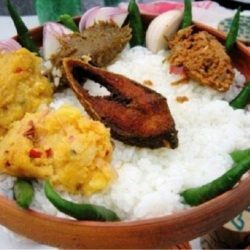 Bangladesh is proud of its various organizations which are located at a variety of places all over the world. They are doing extremely well, contributing not only to the development of the nations where they live, but also enhancing the image of Bangladesh and strengthening inter-cultural relationships and dialogue. 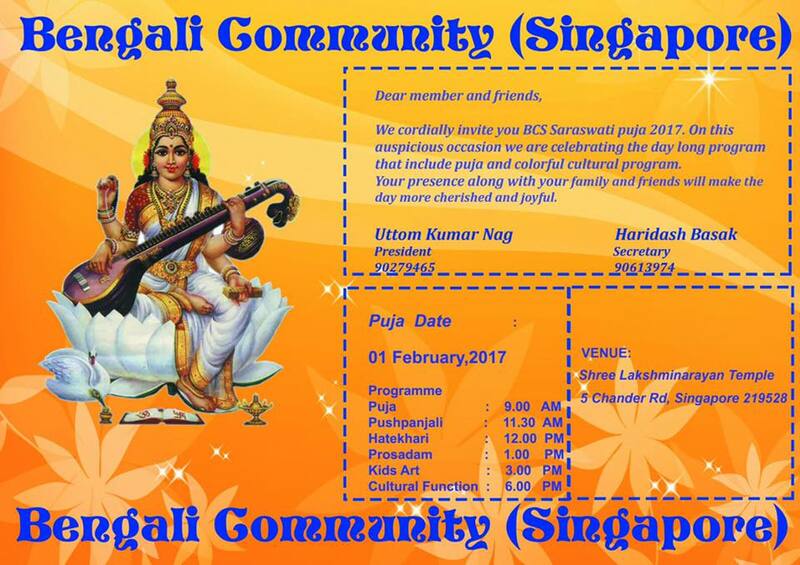 Bengali Community Singapore (BCS) is proud to be a part of it. Excellence has been our enthusiasm from day one. 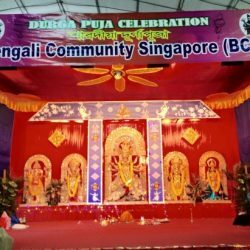 Bengali Community Singapore (BCS) plays the paramount role in building strong communities and the dedicated team works excellence ensures that achieves global standards in community works and prepares to be benchmarked against the best community in Singapore. So far we have accomplished our initial targeted visions only, but yet to face more intricate social challenges. There is so much to do, we have the gems right here, only need to polish them now. A beefy expedition is desirable to exploit our next vision for the elongated epoch, more participation with numerous social activities ought to be done, which could benefit various Societies, Communities and Excellent for overall Social Harmony. Apart from imparting cultural education, conduct discussion session involving top level professionals to working level people and all come under one roof and share thoughts and involve in various activities, which helps to have a good social and cultural bonding. 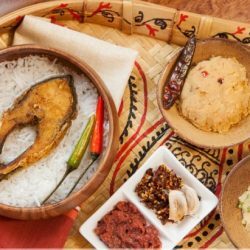 This has brought all Singaporeans and Bangladeshi expatriates closer, culturally as well as socially. We are in the midst of exploring our next vision to set up a BCS Scholarship fund to assist those talented unfortunate secreted endowed children in Bangladesh who could not afford education. Together with the Bangladeshi Corporate Firms and Business Community here, we need to plan to grow this scholarship fund to provide enhanced scholarships and assistance at least 5 deprived endowed children in Bangladesh every year as a test drive. This is to articulate our compulsion towards our Motherland which we are originated from and let the unfortunate secreted endowed children to have the opportunity to endeavor their desires. The mission of BCS is to build capacity for social change in communities in a culturally based way, but we know that we cannot do this work alone. We need all of you along on this journey, especially in today’s times as our communities are pressed up against some of the most difficult social challenges that they will see in a lifetime. 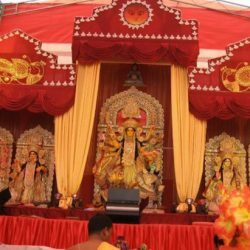 Singapore is now dwelling just about 90,000 effervescent Bangladeshis of various professional fields, such as University Professors, Engineers, Mariners, Bankers, skilled and semi skilled work forces. With high quality workmanship and discipline, the demand of Bangladeshi professionals and skilled & semi skilled work forces are growing fast. BCS is delighted to represent and promote this mammoth expatriate community to an enriching multi-cultural and multi-racial and multi-religious society and playing a greater characteristic role in Nation Building. We are here to serve the society, we invite you to consider our membership, participate in our programme and be part of the caring spirit of our organization as we help to make our community a healthier place to live. Last but not the least, we will strive to make all this enjoyable and see that wecontinue to work as ONE BCS family. We look forward to getting Acquainted with those of you that we have known from our years of involving in BCS and for those whom we have not yet had the pleasure of meeting, we are hopeful that we will see you in and around in our future meetings, events, and other gatherings.